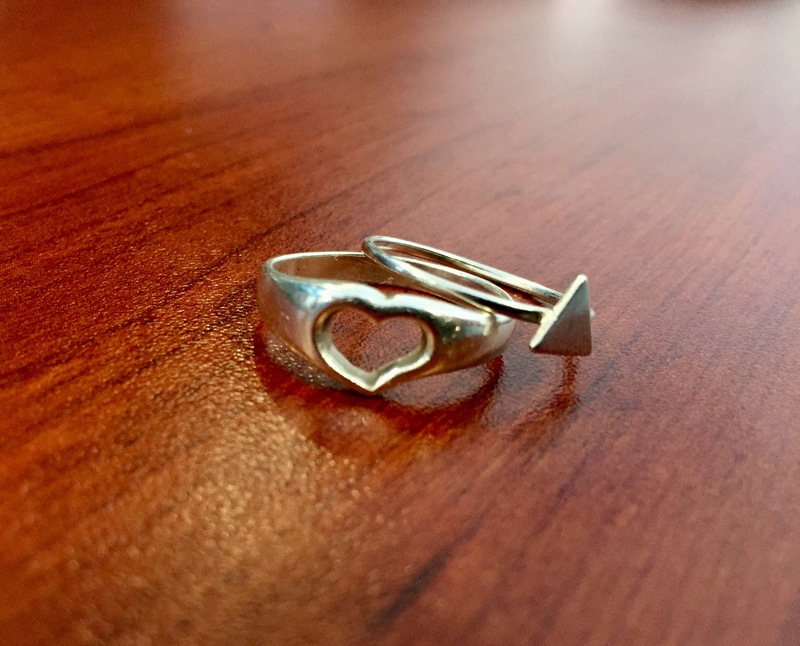 Heart Ring – I’ve worn this ring since the Summer of 2008. I purchased it for myself at a small jewelry cart located on Martha’s Vineyard during our annual family vacation there. It’s for this reason that every time I look at this ring I’m reminded of the Vineyard and how I always have something to look forward to. And since one of my main goals in life is to purchase a house on the Vineyard, this ring also serves as a constant reminder of what I’m working towards which always gives me a little extra motivation. Triangle Ring – I purchased this ring two Summers ago at the Boston SoWah market. I’ve always had an affinity for triangle jewelry which stems back to my early childhood. My favorite video game of all time is Zelda Ocarina of Time and some of my happiest memories as a kid were when my sister and I would huddle around my brother and watch him play through the game. A big staple of the game was the TriForce which consisted of three triangles stacked in a pyramid representing wisdom, courage and power and for some reason, this image really stuck with me. So whenever I see a triangle piece of jewelry, it brings me back to this game and memories I have of sharing these moments with my siblings.